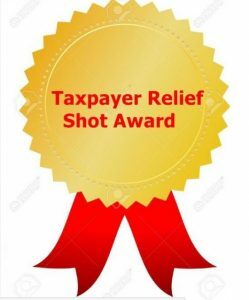 At least one taxpayer relief shot successful delivered. From Fox News: An Arizona homeowner shot and killed a suspected intruder and injured another man when the duo tried to break into a house Saturday, police said. Michael Ahumada, 34, was killed when he and another unidentified man tried to break into a home in Phoenix just after 1 a.m. Saturday, police told FOX10 Phoenix. “That’s when the homeowner shot them. One of them passed away from their injuries and the other was taken to the hospital,” Phoenix Police Sgt. Jamie Rothschild said, adding that anyone with information regarding the incident should contact authorities. The man who was injured in the incident was said to be in critical but stable condition as of Saturday. The homeowner told AZFamily.com in a brief interview that he won’t hesitate to defend himself again in a future break-in. “If they come in… [they] better come in ready,” the homeowner said. Thursday, March 28, was a great news day. That was the day that all 26 Planned Parenthood clinics received notice from the Ohio Department of Health that their state funding will end April 20. The letter from ODH, which was dated March 21, informs the organization’s 26 locations that as of April 20, they will no longer receive funding for a wide variety of programs formerly supported by the state. Last year, ODH gave about $600,000 in grants to Planned Parenthood, according to a spokesman for the department, Zeltner said. The state money funded programs such as sexual assault services; breast and cervical cancer prevention; the STD (sexually transmitted disease) Control program; the Minority HIV/AIDS initiative; as well as five programs designed to reduce infant mortality, including Centering Pregnancy and Moms and Babies First, a neighborhood outreach program targeting high-risk black women. There are three Ohio Planned Parenthood locations that provide abortions — in Cincinnati, Columbus, and Bedford Heights — but the nonprofits that provide these services, Planned Parenthood of Greater Ohio and Planned Parenthood Southwest Ohio Region, allegedly do not use public money to fund them. The two organizations sued after the 2016 law was signed. On March 12th, the 6th U.S. Circuit Court of Appeals in Cincinnati ruled 11 to 6 to reverse a federal judge’s decision to declare the 2016 law unconstitutional. Of the 26 locations across the state, three provide abortions. However, under the Hyde Amendment, these clinics were not permitted to receive state funding, even before the 2016 measure was passed — they are funded by Planned Parenthood of Greater Ohio and Planned Parenthood Southwest Ohio Region. However, those on the pro-life side who are in favor of the de-funding, have pointed out that the non-abortion services provided by Ohio’s Planned Parenthood clinics have declined in recent years, while abortion rates continue to increase. In addition, Planned Parenthood has been caught up in a number of scandals, including fetal organ harvesting and even failing to report the abortions of underage girls who were brought into clinics under suspicious circumstances. “After being initially blocked by a court ruling, Ohio has finally defunded PP of all state taxpayer money. Great news!” tweeted LiveAction’s founder, Lila Rose. 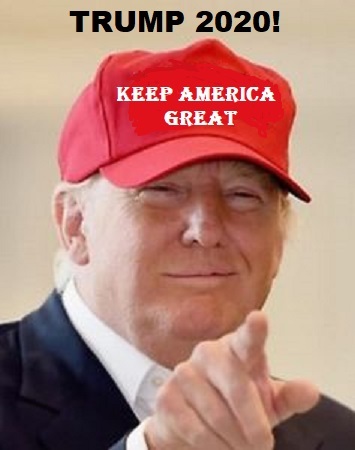 In 2017, President Trump signed a bill which allowed states to immediately begin defunding abortion organizations like Planned Parenthood by removing the family planning funding they were permitted to receive under Title X. On a personal note, I find this comment absolutely bizarre coming, as it does, from a woman who makes her living murdering babies. The judge was born in Cuba and appointed by GWB. From Daily Mail: A federal judge declared California’s ban on high-capacity gun magazines over 10 rounds as unconstitutional on Friday, following a lawsuit by the state’s arm of the National Rifle Association. On Friday San Diego-based U.S. District Judge Roger Benitez ruled the law against high-capacity gun magazines was unconstitutional, blocking the state from enforcing the voter-approved ban outlined California’s Proposition 63. The proposition was made to prevent the use of such magazines, which are often used in mass shootings and passed on the November 8, 2016 ballot. California law has prohibited buying or selling of magazines with over 10 rounds since 2000, but those who had them before then were allowed to keep them. In 2016, the Legislature and voters approved a law removing that provision. The California arm of the National Rifle Association then sued and Benitez sided with the group’s argument that banning the magazines infringes on the Second Amendment right to bear arms. He cited stories of three women confronted by armed intruders in their homes. The woman with a high capacity magazine was able to kill an intruder and call for help, while the two other women ran out of bullets. 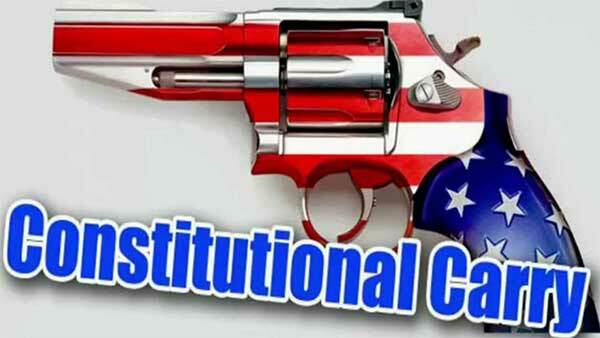 ‘Individual liberty and freedom are not outmoded concepts,’ Benitez wrote in his 86-page order as he declared the law to be unconstitutional, granting a summary judgement in favor of gun owner Virginia Duncan and the California Pistol & Rifle Association. 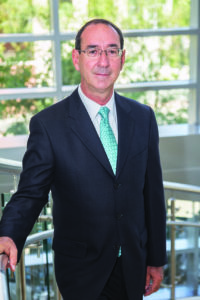 Benitez cited the stories of three women who were at their homes in Florida and Georgia and were shot by gun-weilding intruders who broke into their homes. He suggested that the women were unable to stop the assailants because they had lower capacity guns to defend themselves. You say high capacity; I say standard and necessary! In one case a pajama-clad woman who had a high-capacity magazine attached to her weapon was able to take on three armed intruders, while simultaneously calling for help on her phone. In the other two cases the women without additional ammunition ran out of bullets. ‘She had no place to carry an extra magazine and no way to reload because her left hand held the phone with which she was still trying to call 911,’ the judge wrote, saying she killed one attacker while two escaped. Chuck Michel, an attorney for the NRA and the California Rifle & Pistol Association, said the judge’s latest ruling may go much farther by striking down the entire ban, allowing individuals to legally acquire high-capacity magazines for the first time in nearly two decades. ‘We’re still digesting the opinion but it appears to us that he struck down both the latest ban on possessing by those who are grandfathered in, but also said that everyone has a right to acquire one,’ Michel said. Attorney General Xavier Becerra said in a statement that his office is ‘committed to defending California’s common sense gun laws’ and is reviewing the decision and evaluating its next steps. ‘Individual liberty and freedom are not outmoded concepts,’ Benitez wrote in his 86-page order as he declared the ban on high capacity magazines to be unconstitutional. For those opposed to this (local police are opposed.…that’s another story I may blog about at a later time), think about how many times you’ve seen criminals open carry. I see many people open carry here in my town in OK: At the vet, Chick-fil-A, the local convenience store, Wal-Mart, PetCo, etc. I have never, ever, ever felt threatened by witnessing a person open carry. I prefer to conceal carry because I’m a woman and don’t want to advertise the fact that I have guns. 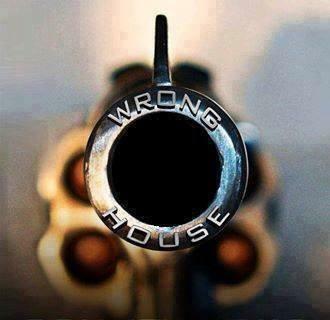 I don’t want some man following me and thinking he can 1) overpower me and 2) know of a home that has firearms to steal. Yet women who choose to open carry now have a distinct advantage to practice their Constitutional right! Thank you Governor Stitt for recognizing our Second Amendment right! From KTUL: Just three weeks from start to finish, the “Constitutional Carry” bill has a new nickname for the folks who pushed it through. “Well, we should have probably renamed it the ‘Whiplash Bill,'” said Don Spencer, president of the Second Amendment Association. That’s cause the speed at which it traveled through the process was stunning. Predictions on what’s next? “Gun sales will go up, also we’re already seeing the list for people wanting training going up because they know they don’t have to put a license through the state to carry the gun now,” said Spencer. “Do I think that there will be some people going out and buying some new handguns? Maybe something smaller, lighter, easier to carry? Yeah, there will probably be for the next six to eight months an increase of especially conceal carry type handguns sold,” said Eric Fuson with Trails End Trading Company. Meanwhile, a dire prediction from former TPD officer and gun control advocate Rex Berry. “More guns in more wrong hands means more gun tragedies means more fear means more guns sold,” said Berry. “One of the arguments is it’s not a gun, it’s a mental health issue. Take a look at what our state legislature or our US government has done to fund mental health. It’s a BS argument,” said Berry. Spencer’s response to the critics? “Well to the critics I say this, if it wasn’t for the Second Amendment and us being able to exercise it, you would not have the protection of your First Amendment to be up here and make that criticism,” said Spencer. And finally a reminder, that just because there’s less paperwork, doesn’t mean there’s less responsibility. 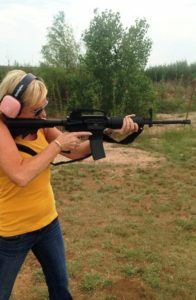 “Just because there is no permit require to carry doesn’t mean there’s not liability for carrying a firearm, and you must know the laws that govern the use of force in the state of Oklahoma and where you cannot carry,” said Fuson. From Fox News: A 79-year-old homeowner in Georgia reportedly fired off two shots during an attempted home invasion earlier this month. The actions taken by the unidentified woman to ward off the intruder before responders could arrive at her residence on Feb. 12 were captured on her 911 call, ABC News reported Wednesday. In the midst of the alleged break-in, the woman shouted to the suspect, “I got something for you” before shooting a weapon, according to ABC News. She later reportedly fired off a second shot after the individual managed to get inside and up to another floor of her home. “I’m waiting on ya. When you come down them stairs, I’m gonna blow your damn brains out. I’m waiting,” she shouted before taking the shot, according to ABC News. While authorities did not disclose the home owner’s age or identity, WXIA reported her to be 79 years-old. The sheriff’s office did not immediately return Fox News’ request for confirmation. The suspect – who was identified as Hans E. Rogers – was apprehended by authorities and charged with home invasion and burglary, according to the news release. Shelley and Rob Wall, from Cumbria, in northwest England, were advised to terminate the pregnancy five times after finding out that their baby had “no brain.” Dad Rob said that many doctors believed his unborn son had not developed a brain. Incredibly, however, by the time Noah was 3 years old his brain had grown to 80 percent of the normal size. Now doctors believe Noah’s brain had actually just been squashed into a small space — and that after he had a shunt fitted, it grew back to where it should have been. “Even if his brain had been so squashed up, he’d be severely mentally disabled because of all that damage and look at him — he’s as bright as a button,” said Noah’s father. Doctors told the parents that their son would be severely mentally disabled — unable to talk, see, hear or eat. Then they also discovered that Noah had spina bifida and gave him very little chance of surviving. But the 6-year-old can do all of those things. Noah was born 11/11 at 11 o’clock. “We waited with bated breath and they put a ‘Do Not Resuscitate’ notice on Noah,” recalled mom of three Shelley. Now the pair have dedicated their time to his brain development, even flying him to Australia to a radical brain training center, where he learned how to sit up unaided and even managed to go surfing. Noah now wants to learn to walk and wants to continue learning how to surf and even start skiing. The treatment that Noah’s been having in Australia is called “neurophysics” — a mixture of physiotherapy and cognitive exercises. Noah’s father explained that typically doctors don’t usually undertake the therapy with children because of the cognitive side of things, however, they were lucky enough to be able to persuade them to see and assess Noah and prepare them for when he’s old enough to have that cognitive treatment. “It’s all to do with the brain’s ability to heal or correct the body’s nervous system,” he said. The family now sends them emails, pictures and updates about Noah’s progress, and he even goes to visit and bring them presents at Christmas. English actress Daniella Westbrook tweeted the show to say that Noah was the “cutest little boy” — something which seemed to delight the boy who keeps proving doctors wrong. #FakeNews apologizing? Has hell frozen over? Wonder if the US media will follow suit (that is rhetorical, of course). From The Telegraph: Following last Saturday’s (Jan 19) Telegraph magazine cover story “The mystery of Melania”, we have been asked to make clear that the article contained a number of false statements which we accept should not have been published. Mrs. Trump’s father was not a fearsome presence and did not control the family. Mrs. Trump did not leave her Design and Architecture course at University relating to the completion of an exam, as alleged in the article, but rather because she wanted to pursue a successful career as a professional model. 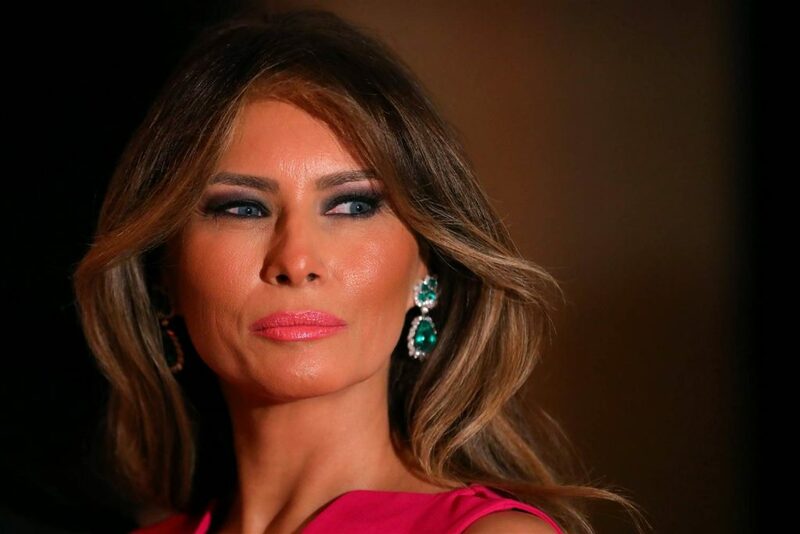 Mrs. Trump was not struggling in her modelling career before she met Mr. Trump, and she did not advance in her career due to the assistance of Mr. Trump. We accept that Mrs. Trump was a successful professional model in her own right before she met her husband and obtained her own modelling work without his assistance. Mrs. Trump met Mr. Trump in 1998, not in 1996 as stated in the article. The article also wrongly claimed that Mrs. Trump’s mother, father and sister relocated to New York in 2005 to live in buildings owned by Mr. Trump. They did not. The claim that Mrs. Trump cried on election night is also false. We apologise unreservedly to The First Lady and her family for any embarrassment caused by our publication of these allegations. As a mark of our regret we have agreed to pay Mrs. Trump substantial damages as well as her legal costs. From St. Louis Post-Dispatch: A homeowner shot and killed one of three men trying to break into a St. Louis home late Wednesday, police said. Police received a call for help about 11 p.m. from a home in the 3900 block of Alberta Street, the department said. Four people were inside the home, and the caller reported that three men were trying to force their way in. While officers were on the way, they got another call saying the homeowners had shot one of the men, the department said. The suspect was pronounced dead at the scene after police and paramedics arrived. He has not been identified. The other two men who had tried to enter the home ran off, police said. Three guns were found at the scene, but it was not immediately clear who they belonged to. Homicide detectives are handling the investigation. Authorities asked anyone with information to contact CrimeStoppers at 1-866-371-8477. Tipsters can remain anonymous and may be eligible for a reward.